Our core business has historically focused on galvanizing steel components for durability and long life performance. As the nature of galvanizing increases robustness and corrosion resistance, galvanized products offer greater sustainability. The longer an asset lasts, the less natural resources and energy is required to repair or replace that asset. Building on this, Geelong Galvanizing is setting higher standards of environmental performance by establishing continuous improvement goals in each area of our business. We are one of 4,000 Australian facilities that report annually to the National Pollutant Inventory (NPI). Providing the local community with access to information regarding air and water quality, sustainable use of resources and our efforts to minimise environmental impacts. Our blasting room incorporates an automatic abrasive recycling system to recycle the abrasives used in our steel preparation process. 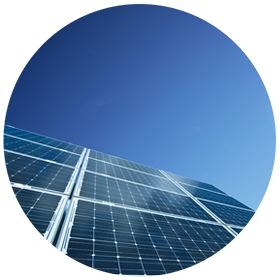 Solar panels have reduced our electricity consumption by 30% and cut carbon emissions by 11%.